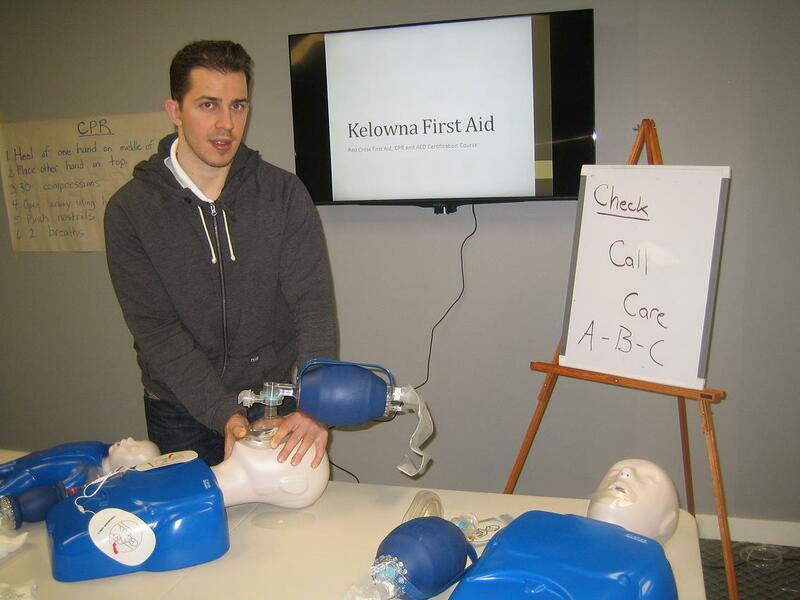 Kelowna First Aid is a St Mark James training affiliate that offers prospective trainees in Kelowna high quality first aid certification. Students are offered the largest selection of available classes for the cheapest rates and fees in the city. Instructors certified by the workplace approved teach all the classes so students get only the best training. The Kelowna First Aid website has a complete list of classes and corresponding rates and schedules. Enrolment and sing up can easily be completed through e-mail, telephone call, or in person during business hours. The website also has an online registration form for sign up. Fees and rates can also be found on the website. Rates are inclusive of taxes, certification fees, and training manuals. These are paid in full during enrolment. Students who drop out are entitled to full refunds of the fees as long as a 72-hour notice is given. First aid certification is held throughout the week, weekends and evenings included. The program is 14-16 hours long. The program curriculum teaches students how to perform wound care, cardiopulmonary resuscitation (CPR), and automated external defibrillation (AED). AEDs are machines that supply the heart with needed shock during cardiac arrest. Stand-alone CPR classes are available in three levels (A, C, and HCP), lasting 4, 5, and 6 hours long. Certificate cards are awarded to students who are able to pass a class. To pass, a student is required to have complete attendance, at least 75 percent on the written exam, and good demonstration of skills. The certificates are only valid for three years. Recertification is held twice a week, varying in length with standard first aid taking approximately 8 hours. There are several facilities throughout the city, easily accessible by public and private transportation. Restaurants and free parking is available within walking distance. Instructors are all certified by St Mark James. DO use tweezers if you can reach the object. STOP removing the object if you feel any pain. DO tilt your head to try and remove the object. DO use oil to remove an insect. You can use mineral oil, baby oil, or olive oil. Oil should be warm NOT hot. Seek medical assistance if you experience hearing trouble, pain, or discharge (blood, pus).